Man..Josh, by reading some of your post on this thread I thought you were a seasoned racer at least with 30+ years of racing like myself....you are alittle behind on the upgrades? You must race in flowerbeds with those tires you have on your Tekno? Haha good one, but the pictured 410.3 is actually my girlfriends truck she just got a few weeks ago. 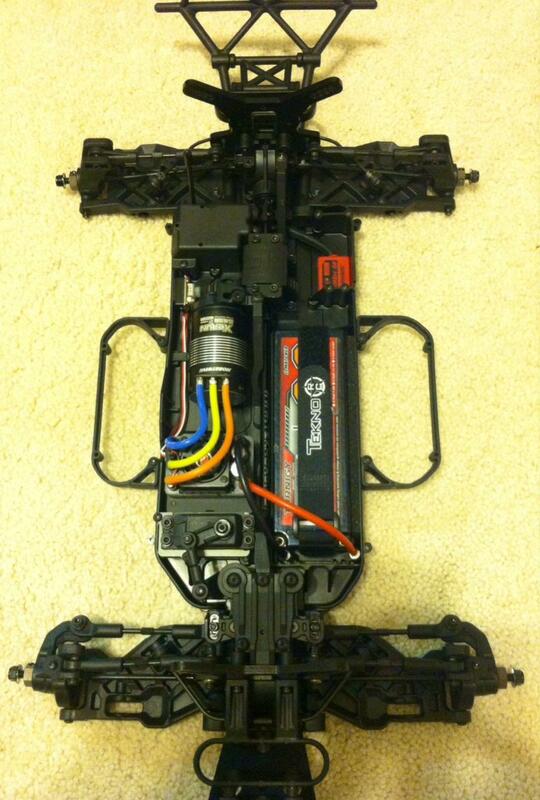 I also own an SCTE 2.0, hence the losi wheels attached to those "flowerbed tires". Those trenchers where bought to goof around with off track so I didn't destroy my race rubber and for static display more than anything. They look cool I thought. If you look at the picture again you'll notice that chassis is still spotless along with the tires and wheels because it's completely new. I am not a pro nor have I been racing for 30+ years. I'd like to be one day and I do my homework and have an engineering and racing family background. Unfortunately I couldn't find the time to stick with RC the way I would have liked to over the years because I have been a professional bull rider and horse trainer for the last 17 years, so you can imagine my road time away from home leaves little time for anything else. I finally retired at bull riding, so now I have lots of time on my hands to catch up. Any issue parts out there on the .3, any must have pit box parts and any must upgrade parts on the kit? Many feel that the clamping 12mm hexes are a must have part that help reduce wheel hub striping. But many claim they don't have a problem with the stock steel hexes either, but that is the only part that some say is a must have deal. Another high on the list part is the A B C D blocks (hinge pin braces). I can't remember which one I read was breaking on people mostly, D block I think, cause I just replaced them all. From what I have seen from others that run the truck primarily, it doesn't seem to break much. I personally feel like the tekno is very well built with it's beefy plastic parts. Very high quality stuff. You will need metric hex wrenches, an 8mm wrench for the stock wheel nuts, and a 4mm turnbuckle wrench will also be a necessity. If you don't already have shock tools, that would be a good idea to. As for the Durango wheels, I believe they are standard buggy size 17mm. Desc410v2 pro, mine are still 15mm, only the newer Durango's are 17mm. Thanks for your reply and info on the rest. Appreciate the info on the 15mm. I am not familiar with their older stuff. I just knew the new one had 17s. This is more a FYI type thing for all you 410.3 drivers. Do yourself a favor and try the SMC 4500kv motor. They're sensored, 4 pole and only $59. They're incredibly fast and have plenty of torque. I run mine with a 19t pinion and barely get above 140 in a 10 minute main. Again, this is just based on my experience. And no, they don't sponsor me. Just happy with their products. WOW, 140 max in a 10 minute main with a 19T on a 4500kv motor? Motor runs really cool apparently, or u need to give it some throttle! I have heard good things about that motor and the price is great, might try one but for me its hard to beat the Hobbywing Xerun 4000/4700kv in these trucks. Agreed Dan. It's going to have to be impressive to get me off the HW bandwagon to. So I got bored and was looking at that awful waste of a rear servo tray and made a nifty TB wrench holder out of it. Just drill yourself a hole big enough to fit one of the prongs on the wrench and run a servo holder screw in the other corner. I will eventually replace the servo screw with a stud and a small wingnut to make it easier to get on and off without needing a hex. I guess it does ad some weight, but I doubt it's enough to cry about. No more misplaced wrenches this way! What ever happened with that Tekno setup program for PC that was leaked a while back? Still working on it? Any ETA on when it will be ready? 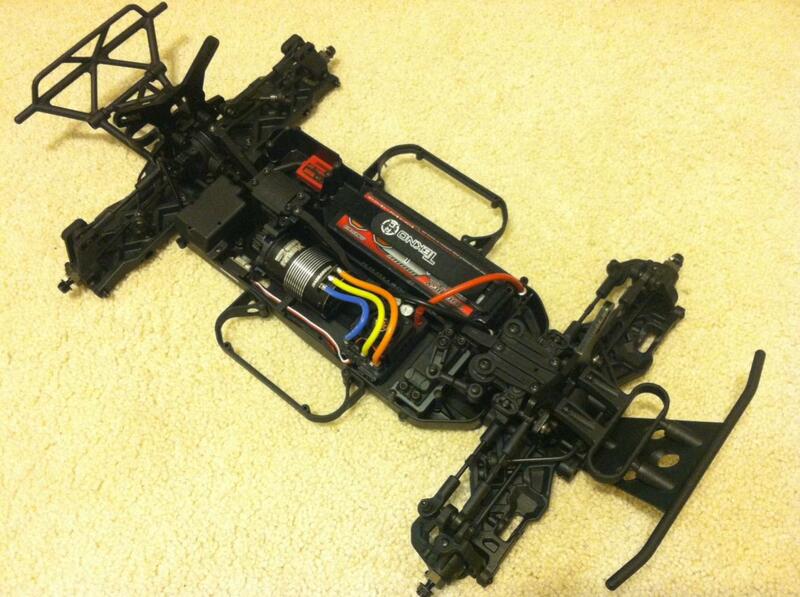 I'm guessing this is a Tekno specific program kind of similar to the RC Crew chief program? The smc batteries and motor that you guys are talking about is amazing. You simply cannot beat the price and performance. The support you get from them is top notch. They pass along alot of useful information.